•	54,250 balls used during The Championships’ period. The jewel of the British summer every year, 2018’s Wimbledon will run from the 2nd of July until the 15th of July. Wimbledon is about far more than just the tennis; many traditions have become synonymous with the event. A day out at Wimbledon is a truly unique experience and an opportunity to indulge in the sun, but what damage is done with what is consumed? Well, it depends which famous Wimbledon tradition someone goes for. Strawberries and cream are a favourite for the crowds at Wimbledon with, according the Wimbledon website, 33,000kg of strawberries consumed at last year’s tournament. Strawberries have actually been rumoured to whiten teeth; the fruit contains malic acid which is a natural astringent that can tackle discolouration, and can be found in tooth whitening products. Cream can contain vitamin A, but also has a healthy dose of calcium to strengthen teeth and help keep gums healthy. So you can enjoy strawberries and cream guilt-free. Conversely, champagne is not too good for the gnashers. Any drink that is carbonated contains carbonic acid which can erode enamel over time. Using straws only slows this process and doesn’t negate it. 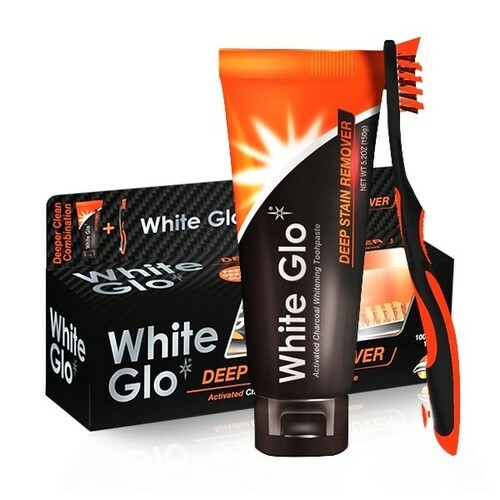 The best way to protect your teeth against it is to use a Charcoal Toothpaste, such as White Glo’s Deep Stain Remover, that removes stains without abrasion and leaves enamel stronger, ensuring a pearly white smile ready for a day in the sun. When it comes to Pimm’s, Wimbledon say that a whopping 320,000 glasses were drunk over the course of last year’s tournament. The recipe for Pimm’s is top secret, but the most common mixer is lemonade. Lemonade is not good for teeth: the high level of sugar contained in fizzy lemonade can do real damage, as can the high level of acid. Overall, Pimm’s may taste great, but it can lead to discolouration of the teeth. Having a camera ready, white smile is best the part of any outfit, just don’t forget to look after your teeth when soaking in the sun and enjoying the tennis. Charcoal Deep Stain Remover samples are available for press.